Grieving families of Iraqis gunned down by British soldiers in Iraq may sue Britain’s Ministry of Defence (MoD) for violating international law following a landmark High Court ruling. In the court’s judgement cases where Iraqis were killed or wounded by British soldiers fall within the jurisdiction of the European Court of Human Rights. The milestone ruling could pave the way for over 1,200 claims, brought by Iraqi families. British law firm Public Interest Lawyers (PIL), which specializes in judicial review cases relating to human rights violations, would represent the claimants. It insisted it plans to challenge the High Court’s judgment in Britain’s Court of Appeal. Under the European Convention on Human Rights (ECHR), the UK has a duty to investigate claims of wrongdoing committed on its behalf. 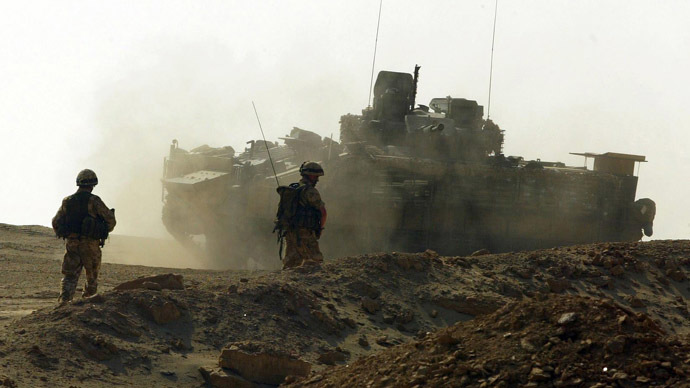 The extent to which the Convention can be applied to the actions of British soldiers in Iraq has previously sparked legal conjecture. Britain’s First Secretary of State William Hague previously said Iraqis who were detained by British forces, but not killed, had rights under the Convention. However, Iraqi claimants seeking justice for their deceased loved ones argue Article 1 of the Convention should also apply to those shot by UK armed forces during Britain’s 8-year occupation of Iraq. Article 1 of the ECHR compels states to respect basic human rights in the jurisdictions they govern, including the right to life, the right to freedom from torture, and the right to a fair trial. The MoD rejects the argument that Iraqis killed during UK security operations fall under Britain’s jurisdiction. Leggatt, who has dealt extensively with cases involving Iraqis, argued Article 1 of the Convention was relevant for two reasons. Leggatt went on to say in cases where a soldier killed a person during armed battle, the killing would be considered legal as long as it complied with international humanitarian law. In such cases, families of deceased Iraqis would not be permitted to file for compensation from the British government. “The prospect that every time British troops shoot or shell an enemy in battle they can be put before a court is beyond parody and utterly preposterous,” he told the Daily Mail. PIL, which represents most of the claimants, said it expected a flood of claims to emerge by the close of March 2015. The number of cases could be as many as 1,230, the Birmingham-based law firm said. In a statement, PIL said Justice Legatt had “ruled that in respect of all the 1,200 plus judicial review cases he is dealing with, all of the following stations are within the jurisdiction of the ECHR. “It is very likely that this important question of legal principle will be appealed by the UK government and heard by the Supreme Court,” the law firm added.